The Minister for Rural and Community Development, Michael Ring TD, and the Minister for Agriculture, Food and the Marine, Michael Creed TD have approved funding of €557,408 for 12 LEADER Food Initiative projects, which have been independently evaluated and recommended for approval by the Local Action Groups (LAG). The LEADER Food Initiative will continue to support other food producers. The LEADER Food Initiative will provide up to €15 million, over the next two years, to support the further development of food and drink businesses throughout rural Ireland. The funding covers the renovation and extension of production facilities, the purchasing of processing equipment, as well as supporting participants in the artisan food and beverage sector in areas such as market development, competitiveness, and innovation. The initiative is managed by the Department of Rural and Community Development, with funding provided by the Department of Agriculture, Food and the Marine. Minister Ring said: “The food and drinks sector is one of Ireland’s most innovative indigenous industries and is a vital source of employment in rural areas. The funding will make a real difference to product and process development within these businesses, and help to position them to avail of future market opportunities. In addition to the investment provided directly to food businesses, funding is also being provided to collective initiatives that support the overall development of the food sector in different regions”. Those receiving support include Harty Nutrition Ltd, based in Farranfore, Co. Kerry receiving funding for equipment to support the development of two new product categories and West Limerick Resources CLG based in Newcastle West, Co. Limerick receiving funding for training artisan, micro and small food businesses. Others include the Waterford Food Festival, McNiffe’s Bakery in Leitrim and The No Nonsense Food Company in Cork. 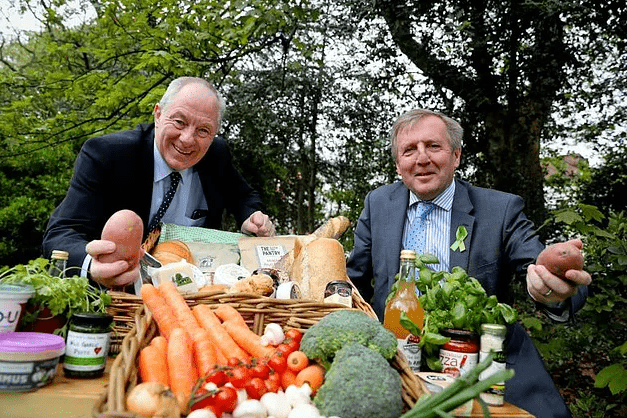 Minister Creed added: “The Food Wise strategy acknowledges the unique and important position and vital role of the small, micro and artisanal food sector in both the rural and national economy and its positive growth prospects. The funding provided for the Small Micro and Artisanal Food sector, through the LEADER mechanism, is critically important for these businesses to grow”. Potential applicants are strongly encouraged to avail of this unique funding opportunity which provides tailored support depending on the needs of the individual food operators. As for all LEADER 2014-2020 funding applications, interested applicants should contact the LAG in the relevant LEADER sub-regional area in the first instance. Contact details for LAGs are available from the DRCD’s list of LAGs. For more information on the 12 approved LEADER Food Initiative projects see the DRCD’s Press Release.